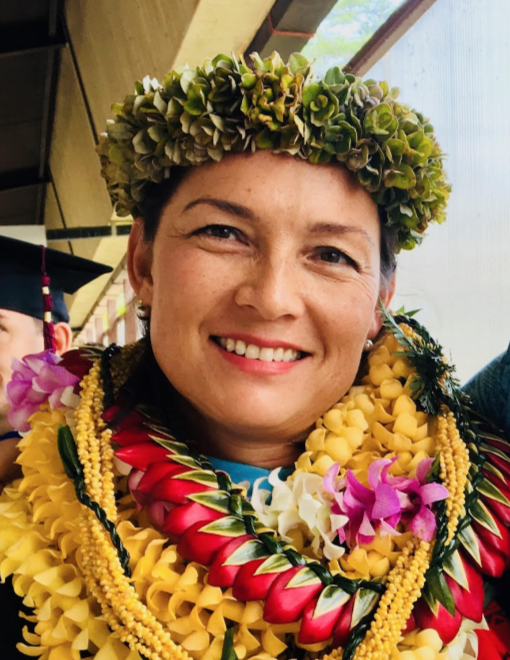 Elizabeth Laliberte has taught Special Education at Hilo High for 12 years. She earned her Master’s Degree in Education from the UH Hilo, and is also a National Board Certified teacher. She lives in Hilo with her husband and two children. Courtesy photo. Unfortunately a small group of well-funded and very vocal people across the Islands are protesting loudly against the prospect of paying more tax to fund public education. I get it. Why should I pay more money to fund some other kids’ education when “my kids” are all grown up, or go to private school, or don’t even live in Hawaii? Why should I pay more taxes, when the cost of living is already so high? Sadly, self-centered ideas like these are echoing across this country, growing louder every day. What used to be a shameful thing to admit that “I” don’t want to pay for “you” has now become almost socially-acceptable. I naively expected Hawaii to be different, better, somehow but it appears that the #mefirst mentality is taking root here as well. Despite their unpopularity, taxes are, as Thomas Jefferson once acknowledged, a “necessary evil”. He recognized that “Taxes are the price we pay for a civilized society.” Taxes pay for the things that we collectively benefit from such as police, roads, postal service, schools, hospitals, airports and our beloved DMV. These institutions, flawed as they may be at times, help our communities to operate smoothly. They lay the groundwork for capitalism to flourish and private property to be protected. Is it any mystery that international investors flock to buy Hawaii real estate? Why not Lagos? It has beautiful coasts. Or Burma, with it’s year-round hospitable climate? The answer may have something to do with the lack of public infrastructure and social services available in those countries. We all pay taxes for public services, because we all benefit when they function. It’s a given that we won’t get food poisoning when eating out, or that the car seat we buckle our infant into won’t fail in an accident. These are huge accomplishments, carried out by government agencies, funded by tax dollars. Similarly, the public education system is tasked with educating each and every child that walks through its doors, regardless of their native language, learning disability, and family background. We teachers are challenged with the monumental job of getting all students from A to Z by the time they graduate. If we do our jobs well, graduates are prepared to enroll in college, or join the workforce be it in retail, real estate or even Japanese restaurants. If you own a business and employ local people, chances are they were educated in a public school. If your house is on fire and you call 911, chances are those firefighters and police were educated in a public school. When public education works, we all benefit. Regrettably, it’s becoming harder and harder for teachers to do their jobs well. If funding for public education continues to fall short, the costs to our communities will be much, much higher than a small surcharge. Consider the little-known fact that the private prison industry routinely looks at data on reading assessments of third graders and with shocking accuracy, predicts how many prison beds are needed 10-15 years in the future. School failure leads to societal failure. Students who drop out are 80% more likely to end up incarcerated at adults. Currently, students of Native Hawaiian ancestry are overrepresented in special education and have the highest drop-out rates. Not coincidentally, they also make up a disproportionate percentage of Hawaii’s incarcerated citizens. We can pay to educate our kids properly today, which costs around $14,000 per year per student. When comparing that amount to the approximately $35,000 to $40,000 annual cost of incarcerating an adult, this looks like a bargain. Other societal “costs” such as unemployment and drug addiction, homelessness, and food and housing subsidies go up when we fail to fund schools properly. Long-term effects of these social problems include a reduction in property values. These examples clearly show the cost of NOT funding education properly is too high to bear. As to some of the specific complaints about the Con Am, I would like to respond. Folks are complaining that the language of the ballot measure is ambiguous. “The details are missing”, they say,” so we can’t possibly vote YES on something that’s so unclear.” What you have to remember is that the ballot measure never intended to, and doesn’t need to include specifics about the surcharge. It’s like getting married. The ballot measure is the marriage proposal, a straight forward question demanding either a yes or no answer. If the answer happens to be yes, sorting out the details can begin. The ballot measure, like the marriage proposal, simply authorizes the State, by amending the State Constitution, to begin the planning process. If it comes to that, the public will have ample opportunity to oversee the legislative process. I’m confident that the Affordable Hawaii folks will keep a close eye on the Legislators to ensure there is not funny business after the Amendment is passed. This is how a democracy works. We, the voters have been trusted to make this very important decision. Another opinion one hears from the opposition concerns the issue of so-called misleading language. They ask, “why is the word surcharge used and not “tax”? Whereas the Counties collect property tax, the amendment proposes the state collect an amount above this tax, which is why it’s referred to as a surcharge, but only within approved limits, i.e. it’s taken from investment property owners and given to education. By definition, a surcharge is a tax on a tax, which explains why this wording is used. A third complaint concerns the Counties’ claim that outside investors will opt to buy investment property elsewhere, leading to a potential drop in investment. 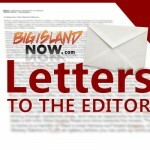 They say this will negatively affect Hawaii residents. This is not necessarily so. According to economists, raising property taxes may have an overall positive outcome for local residents who are being priced out of the housing market. 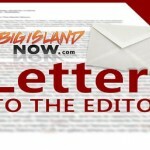 Property values may actually come down to a more affordable level for everyone if higher taxes have the effect of discouraging outside investment in Hawaii real estate. Lastly, to those who argue that property tax should be off-limits and suggest instead that the teacher’s union look at other sources of potential funding: that is, in fact, exactly what they did. They looked at legalized gambling, lottery tickets, and raising the GET. However, these ideas were ultimately scrapped because research showed these regressive forms of taxation would have disproportionately burdened the bottom half of earners. The HSTA negotiated with lawmakers for almost 2 years to get this ballot amendment right. It’s happening at the right time—when 1,000 classrooms lack a licensed teacher—and are asking the right folks—those who CAN afford to pay a little bit more. To the approximately 1,000 Island residents who will pay the surcharge, as well as mainland and foreign property owners, we’re asking you to pay back into the communities that helped to secure your wealth and grow your investment. 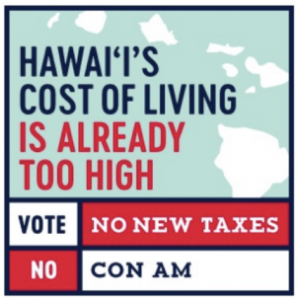 By voting YES for the Constitutional Amendment, we can vote for a more prosperous, more secure future that will benefit ALL the people of Hawaii.